In my experience, dealing with a lot of the expat community in Pattaya, the task of obtaining a last will & testament seems to be a subject they do not wish to talk about, or is put at the bottom of the list of priorities. However this should not be the case. Would you leave your assets to chance in your own home country? Coming to Pattaya & enjoying the sunshine & wonderful lifestyle can make the best of us forget what things are important. It is so easy to put important tasks to the back of our mind and think I’ll do that job tomorrow. In my honest opinion, protecting your assets in Thailand should be a very strong priority for you & your Thai partner. Owning your own home, car, motorbike or money in a Thai bank needs protection for your beneficiaries, be it your family in your home country, or your Thai partner, whether you are married or unmarried, for a small expense you can safeguard your hard work & possessions. Not got a last will & testament? If you have not got a last will & testament in place it is a horrendous task for your Thai partner if not married, or your next of kin to claim the right to your assets. I myself have had one friend who has unfortunately died in Thailand & not prepared a last will & testament. His family one year later are still going through the Thai judicial system to claim his assets. If you have a Thai partner & you are not married then your partner has no claim over your assets what so ever. This leaves them in a very vulnerable position. If you wish your family to receive your assets then they have the arduous task of coming to Thailand & starting the process by proving they are next of kin. They then have to employ a Thai lawyer to undertake your case which can be a lengthy process, anything up to 18 months. In the 18 months there will be numerous visits to the courthouse & will incur large legal fees. In the instances I have seen, the legal fees have totaled 50% of the asset value!! This is not including the massive stress factor your beneficiaries have to endure. In layman terms, let’s say your assets will be frozen. If there is no resolution through the courts then your assets will die which is a harrowing prospect. DOES MY THAI PARTNER NEED A LAST WILL & TESTAMENT? In my professional opinion the answer is yes! You may ask why? Taking into consideration the other side of the coin, if your Thai partner is the owner of your assets e.g. home, car, motorbike and has these in their own name, or you are married and you are entitled to a 50/50 share, what would happen if your Thai partner should unfortunately die? In my past experience I have witnessed the Thai partners next of kin claim the right to the assets of there deceased family member, and the foreign partner who had paid for everything being left with nothing, including having their home and car where they once lived, happily taken away from them. This was because they had no will & testament arranged, which believe it or not, is a common occurrence. I can only imagine it is difficult to deal with loosing a loved one, but to lose your Thailand assets at the same time would be unbearable. To pre-empt a situation is the best policy and my advice is utilize a small piece of your time and arrange a last will & testament for your own piece of mind. You can then carry on with your quality of life knowing your assets are secure. One of the main problems I have seen is that when a foreigner dies in Thailand there can be a conflict between the family in there home country and there Thai partner. This being due to the Thai partner wanting a Buddhist cremation ceremony and the family wishing the body to be sent to the home country, which to say the least, can be a very awkward situation for the foreigners embassy to deal with. would wish to be laid to rest. If you wish to arrange a last will & testament at Key Visa Company we make the whole process a hassle free experience for the client. We do understand that this type of consultation is difficult for the customer so we make it as easy for you as possible. We start the process by consulting with the client & asking them to produce information on there assets and who the named beneficiaries will be. 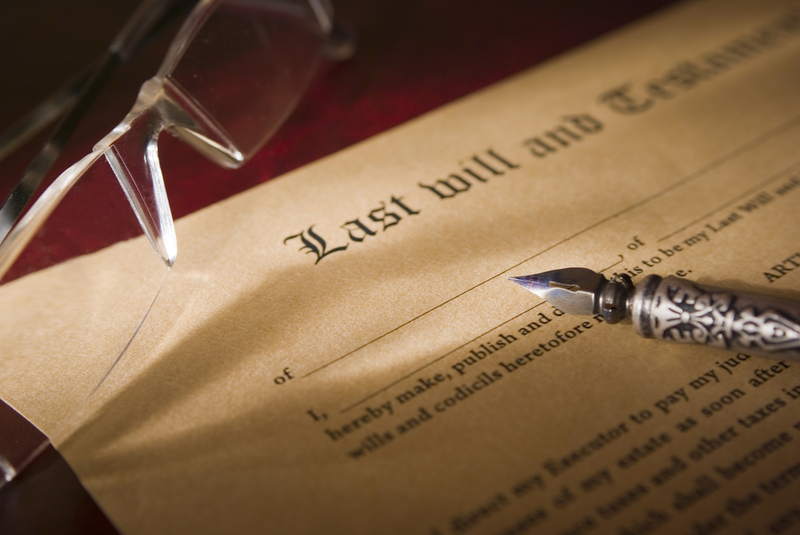 The client then returns with the information and we prepare their last will & testament. The format we use is both in Thai and English, but we can have it translated for any nationality. The whole process once we receive the clients information is completed and registered in a maximum of three days from start to finish. The will can be altered at any time by the client if there are two parties involved in the will. Both parties have to produce the signature on the paperwork and their original identification before the lawyer will proceed with any changes. If you have a will in your own home country it will not be sufficient to protect your assets in Thailand. My advice is to arrange a last will & testament in Thailand to protect your assets here. We at Key Visa Company feel very strongly about advising the expat community, no matter how difficult the consultation to pre-empt a situation in Thailand is.